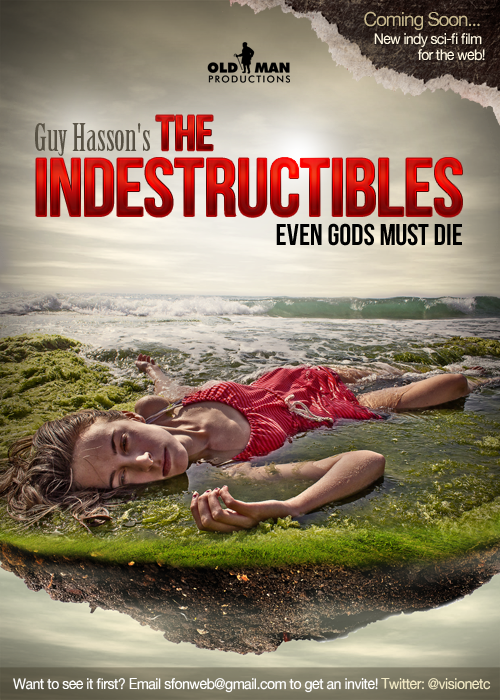 The Indestructibles poster is officially out! You can see the fine results below. In addition, yet another entry in The Indestructibles film journal has just been published over at the Apex blog. Here’s an excerpt. When you hold auditions, you have to be ready for anything. I mean literally for anything. Acting well means you’re going to be emotionally exposed, which means that rehearsals as well as auditions can become very personal. A lot of personal stuff comes out. I’ve learned (to my surprise) that when I hold auditions, you can tell me anything, and I’m going to react to it with absolute calm and acceptance. I want the actors to trust me, I want us to be able to work together on a personal level later on. The last thing I want any of them to feel is judgment from me. If I sat across an actor in an audition and he told me he’d just shot a guy, I’d say “Oh, yeah? How’d that happen?” and my face would not even show surprise. That’s the state of mind I find myself in when I audition.